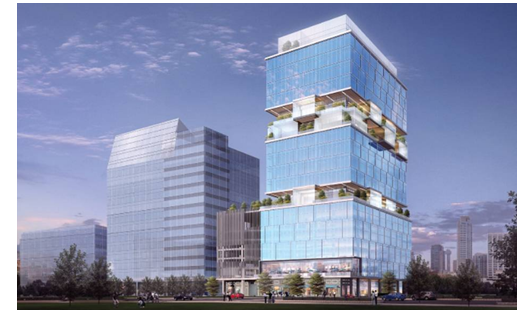 ​​​DALLAS - Developer Harwood International is planning a 226,778-sf office tower in Dallas' Uptown district. The 22-story Harwood No. 10 building is planned at 2850 N. Harwood St., near the entrance to Dallas North Tollway. Planning for the has been in the works for several months. The building is scheduled to open in fall 2018 and will include more than 9,000 sf of retail space. The silver glass high-rise will be one of three towers Harwood has under construction in its 17-block development and include garden terraces on the 10th, 16th and 17th levels. Uptown has some of the state's most expensive office space with new buildings renting for more than $50 per sf. ​Go to Dallas-Fort Worth Market Research​ for Office stats and data!